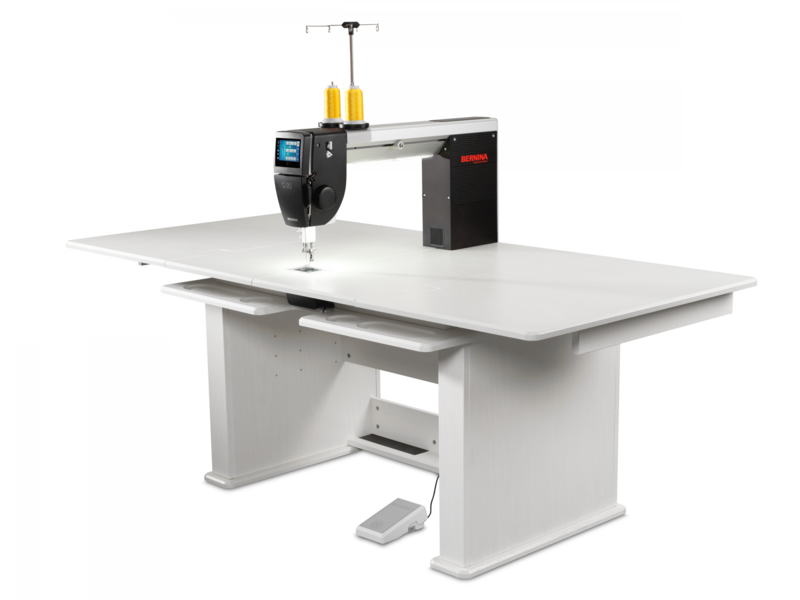 The BERNINA Q20 is designed, engineered, and assembled in Switzerland and comes standard as a sit-down model machine. The generous longarm depth and height provide ample space for managing your larger quilts. Quilt larger quilts than on a domestic machine. The Q20 offers less footprint in your sewing room. Undecided? The Q20 can be upgraded to a frame model machine at any time.